All eight issues of the critically acclaimed miniseries THE GHOST FLEET—from writer Donny Cates (GOD COUNTRY, REDNECK) with artists Daniel Warren Johnson (EXTREMITY), Lauren Affe, and John J. Hill—will be collected for the first time into a deluxe, over-the-top volume and available this November from Image Comics. For the world’s most valuable, dangerous, or secretive cargo, you don’t call just any trucking service...you call THE GHOST FLEET. When one of the world’s most elite combat-trained truckers takes a forbidden peek at his payload, he uncovers a conspiracy that will change his life, and the world, forever. 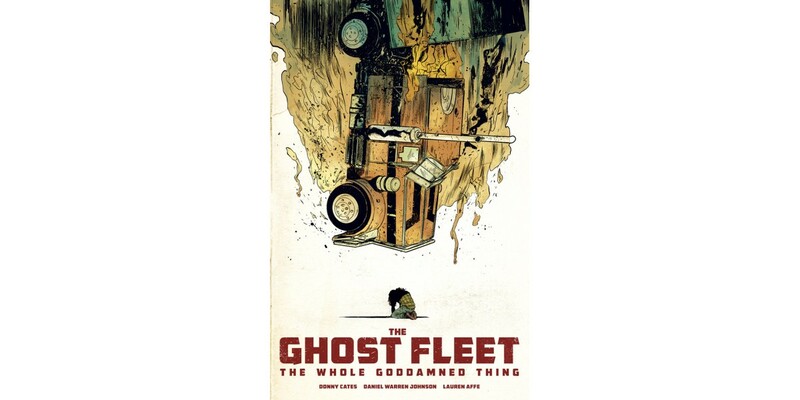 THE GHOST FLEET: THE WHOLE GODDAMNED THING (ISBN: 978-1-5343-0440-6, Diamond Code JUN178533) will hit stores on Wednesday, November 29th. The final order cutoff deadline for retailers is Monday, October 9th. It will be available in bookstores on Tuesday, December 5th and can be pre-ordered on Amazon, Barnes & Noble, Indiebound, and Indigo.